When we moved in to our new townhouse two years ago, I was on the mission to make this the worlds most organized & efficient moving process. There were post-it notes on the kitchen cabinets labeling what’s inside. Floor plans were drawn to scale on my computer to ensure all our furniture fit perfectly. And I even printed out custom labels for all our boxes denoting not only which room the box should go, but which floor. 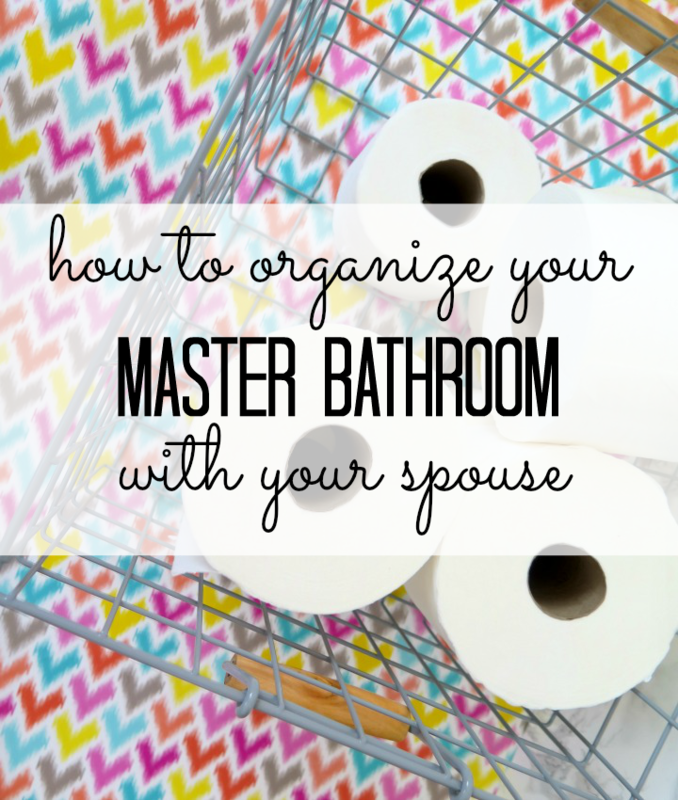 Yet we never took time to organize our master bathroom so it stayed a DISASTER for the last two years. I’m not sure if it was the fact that the master bath isn’t the most exciting place to organize. Or maybe it was that I couldn’t organize rouge without setting aside time for Joe and I to figure out how WE wanted the master bathroom laid out. 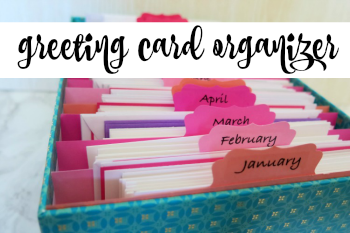 Now that summer is ending and school is starting back up, it seemed like the perfect time to start tackling these organizational challenges that we’ve been putting off for … well.. two years. 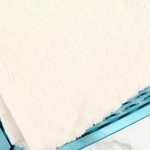 If you’re nodding your head right now, make sure you read down to the bottom of this post for a $100 Target giveaway to style & organize your bathroom! 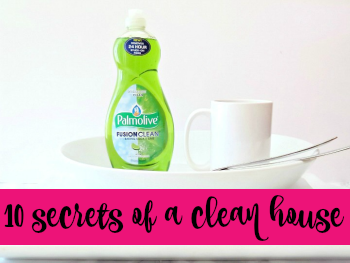 The very first thing we did was pull out EVERYTHING under our sink from the cabinets and drawers. Yes, this mess below was all pulled out and spread across our bedroom floor. I then washed off each of the items. Some were dusty and others were just plain disgusting. Question: why do mouthwash containers get so dirty? Odd right? I wiped down all the cabinets of crumbs and spills. I decided that we needed a pop of color in our bathroom, so I used colorful drawer liners. 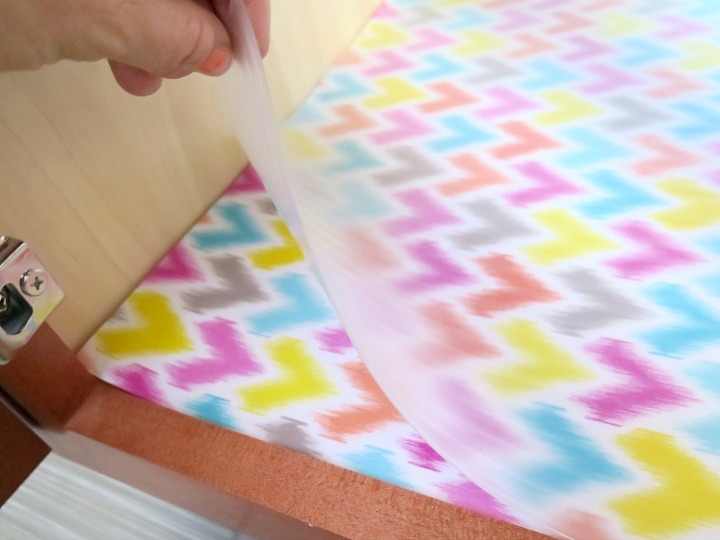 These are actually are really easy DIY project that only takes 5 minutes to complete! 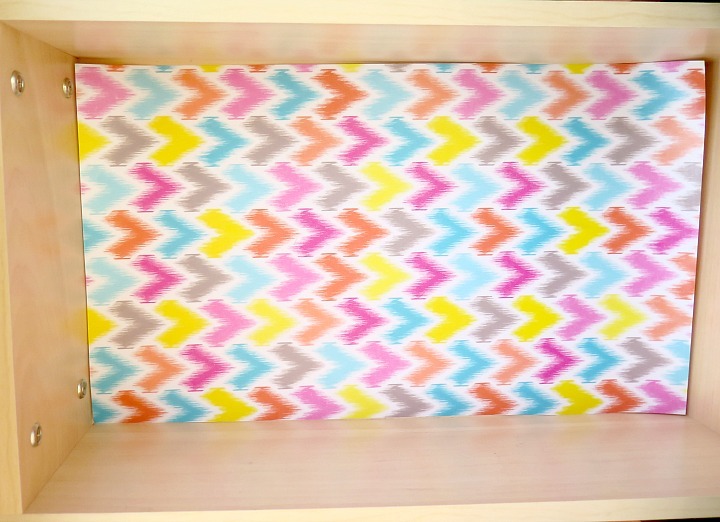 Find some fun wrapping paper (I scored these at Target) and add contact paper and you’ve got a custom drawer liner! 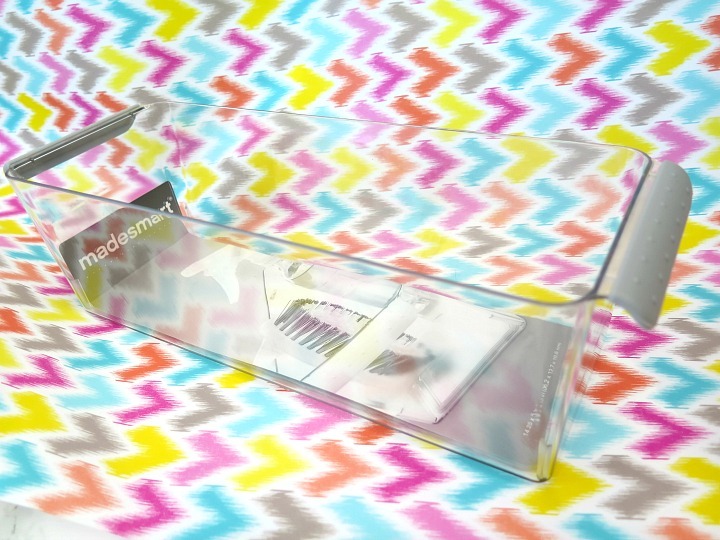 Check out our full DIY drawer liner tutorial. 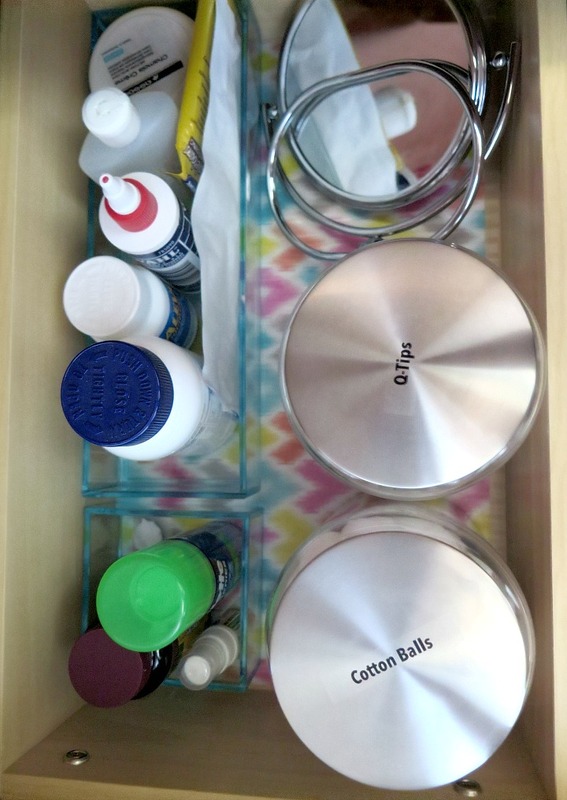 I had originally used a thick clear drawer liner in the cabinets before we started this project so I figured I’d continue. Simply placing the original clear liners on top of my new ones make it a little more durable. Now back to our pile of STUFF ….We also double checked that all these items were still being used. 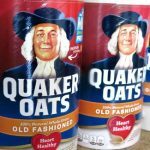 Was there anything that we were just throwing in our cabinets that we really didn’t use? Almost empty containers that we could combine? For some reason we had 4 … yes FOUR half used bottles of mouthwash. 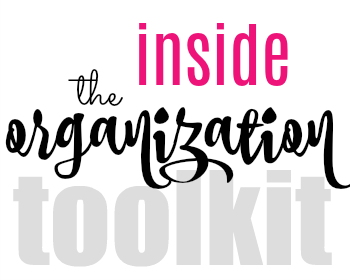 If that didn’t justify this organizing project, I don’t know what would! Next we evaluated our ‘real-estate’. Are there better drawers than others? 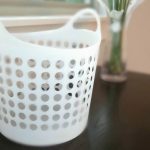 Are there areas that only certain supplies will fit? Focus on those spots first and come to an agreement of what will go where. We have two sinks in our bathroom and storage under both of them, so we had to decide how to distribute the space. Under Joe’s sink went the towels and taller containers. Under my sink went the toilet paper and waste bin. 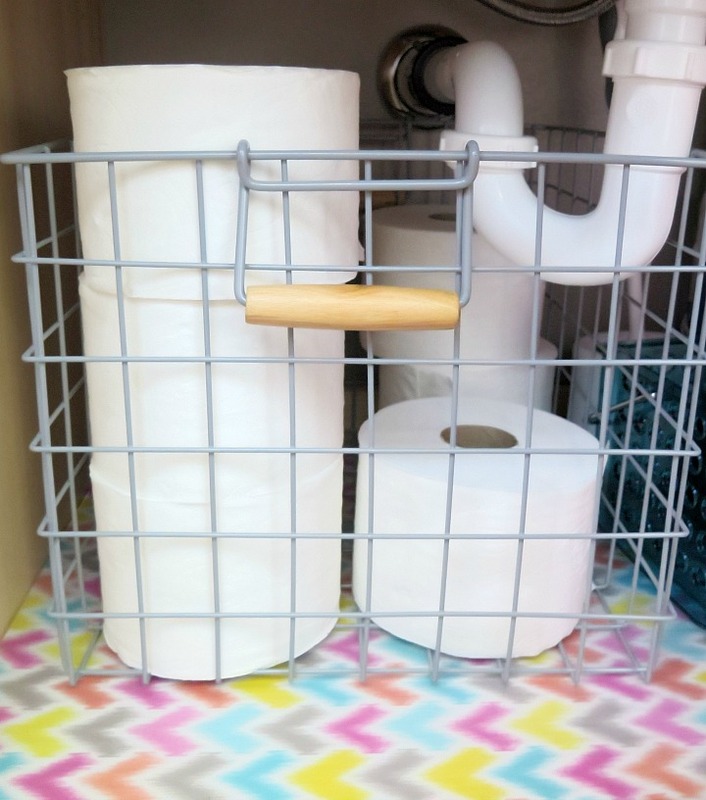 I found this adorable gray wire storage bin at Target that was perfect for our toilet paper. It even fit the Quilted Northern Ultra Soft & Strong® (Mega Rolls) that we put inside. If you haven’t heard of mega rolls you’re totally missing out. 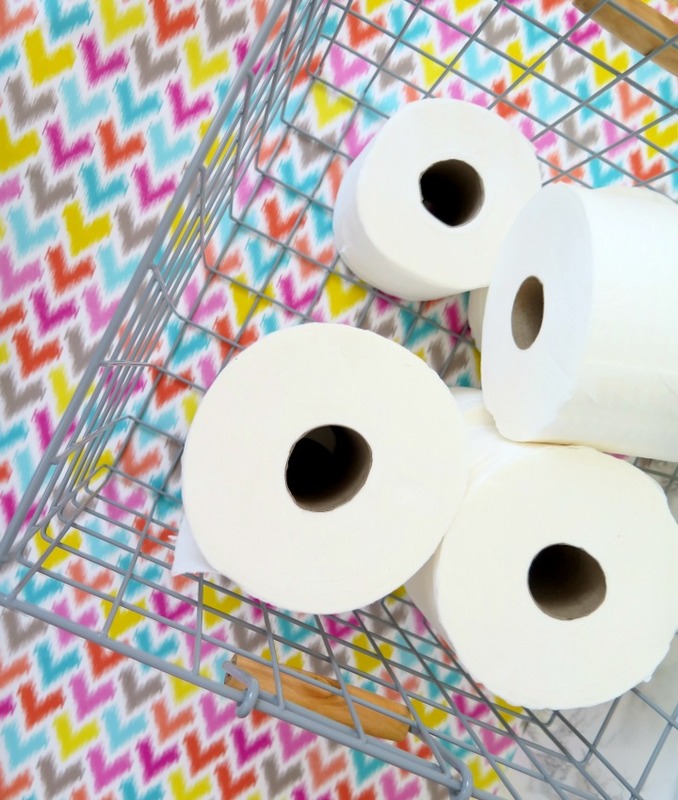 Each toilet paper roll has 4x more sheets that a regular roll and just as comfortable. 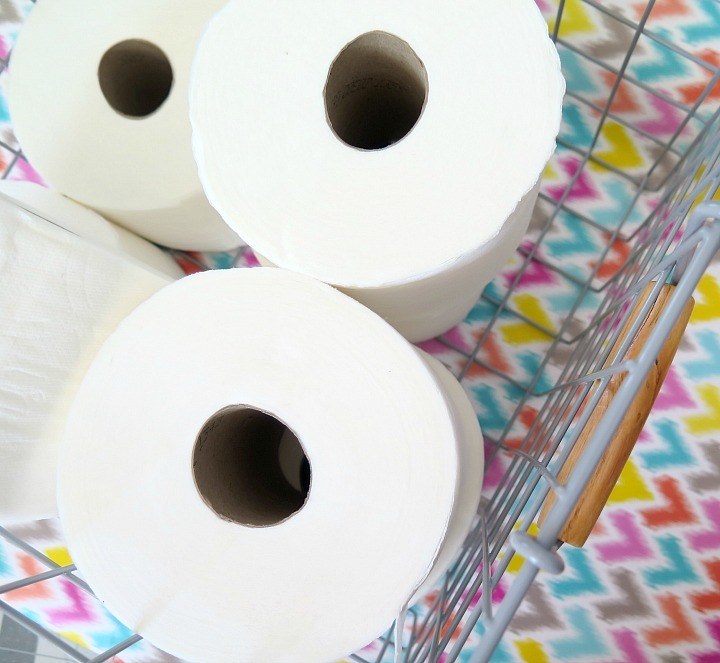 THAT means you can change the toilet paper roll 4x less often. Score! Target has a huge selection of these AND running a discount through 8/20. Who doesn’t love saving money? Just make sure to add this Target Cartwheel offer to save on your next purchase of Quilted Northern Ultra Soft & Strong Mega Rolls. The next area we tackled were the taller products that would go under Joe’s sink. 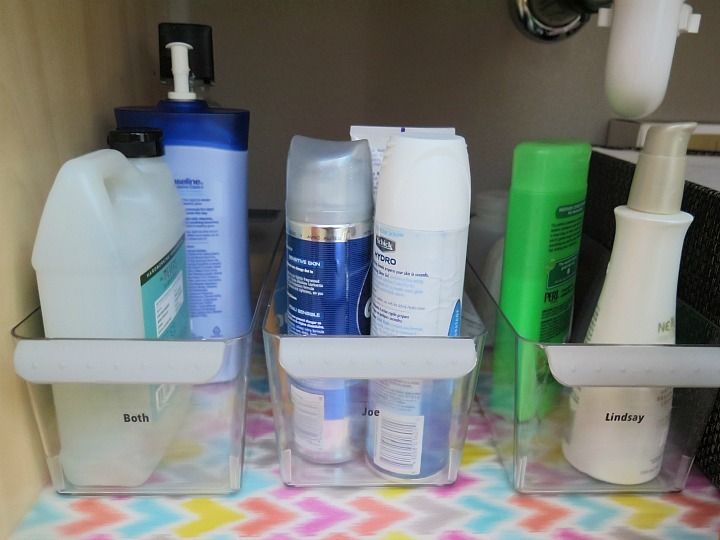 These fun clear containers were a perfect size for under the sink. They also were wide enough to fit large lotion bottles, mouthwash and hair spray. Another Target find! We used three of them, one for joint items, one for Joe’s items and one for mine. 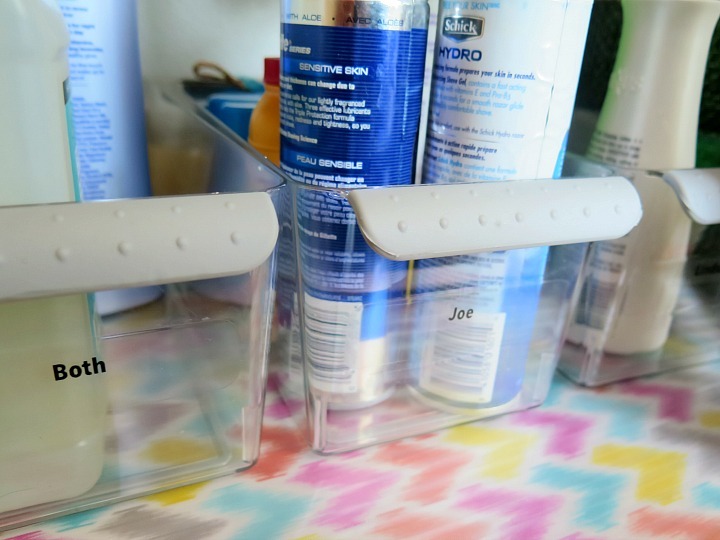 I really liked the look of having specific LABELED containers to put these taller toiletries in. Under my sink went a couple of these teal bathroom baskets. 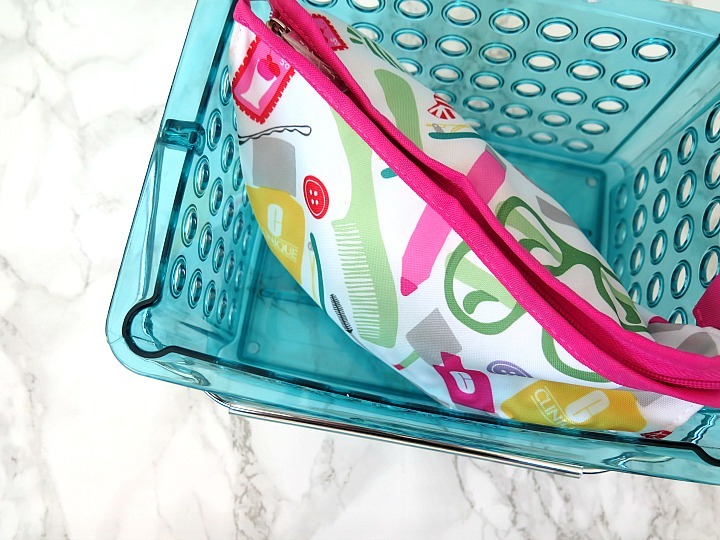 These are a quick way to store pouches full of beauty supplies. I store makeup in one, nail polish in another. I’m a HUGE fan of pouches, even in my purse! Now we’re on to tackle the drawers. Our bathroom has three drawers in between the two sinks. I conceded and gave Joe the top drawer. Everyone always wants the top drawer, right? 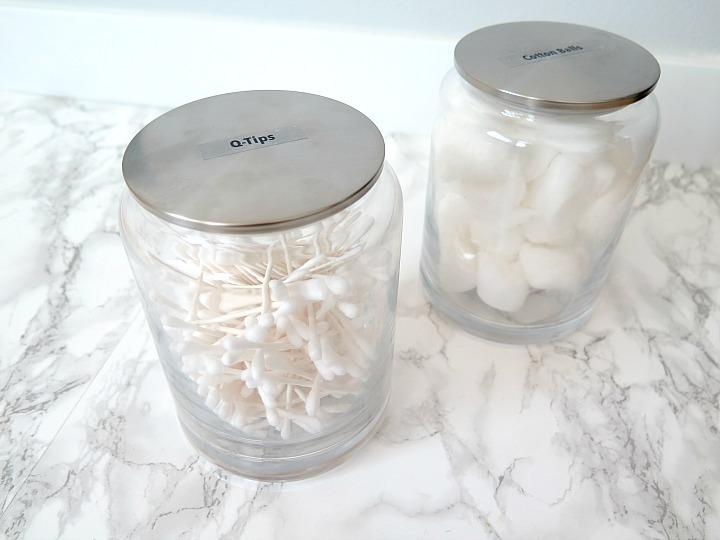 We’re a heavy cotton ball & q-tip using family, so these wide glass containers were large enough to store a good supply in. All I needed to do was put a label on the top, so we’d know which is which. Fortunately, I’ve never seen a product that I couldn’t label. 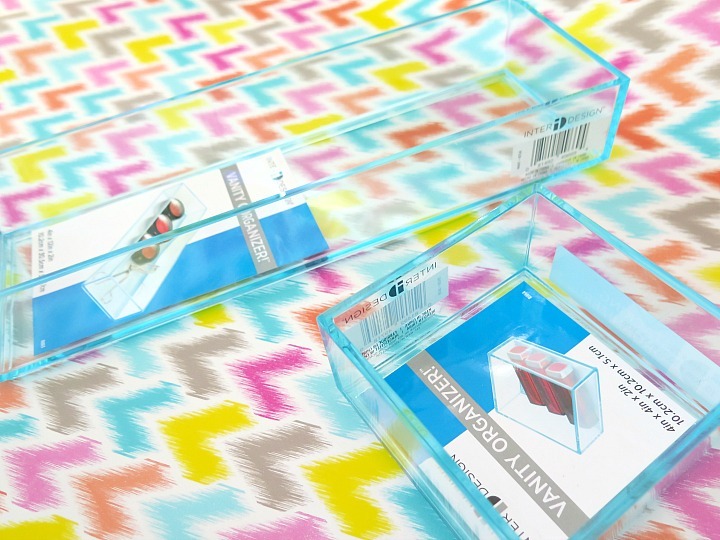 We used lightly tinted teal acrylic containers for the three drawers. I loved that there was a hint of color to them that matched the wrapping paper. 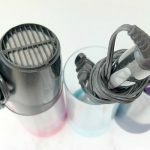 I grabbed various sizes from Target to accommodate longer items (such as toothpaste) and smaller ones (such as toothbrush attachments). 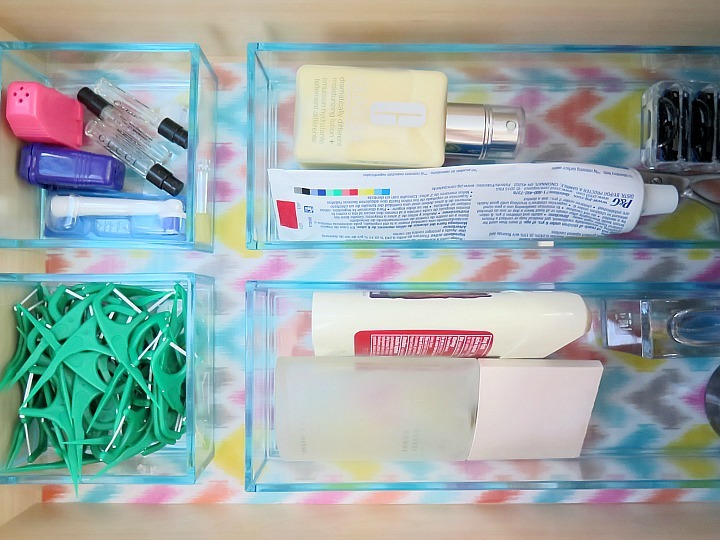 You definitely want a variety of sizes for drawer organization. 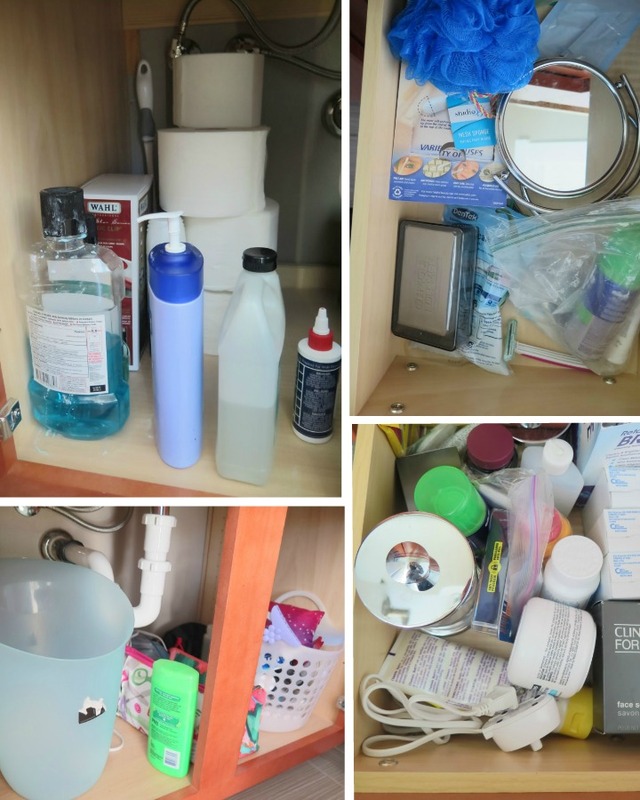 Finally, UNDER our sink is as organized as above! Wow, great job! 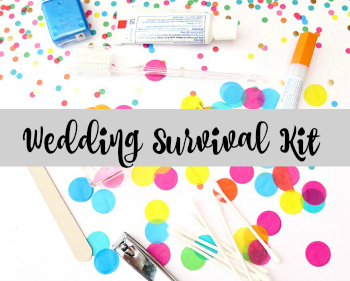 Lots of ideas here, and of course, we use quilted Northern all the time too. 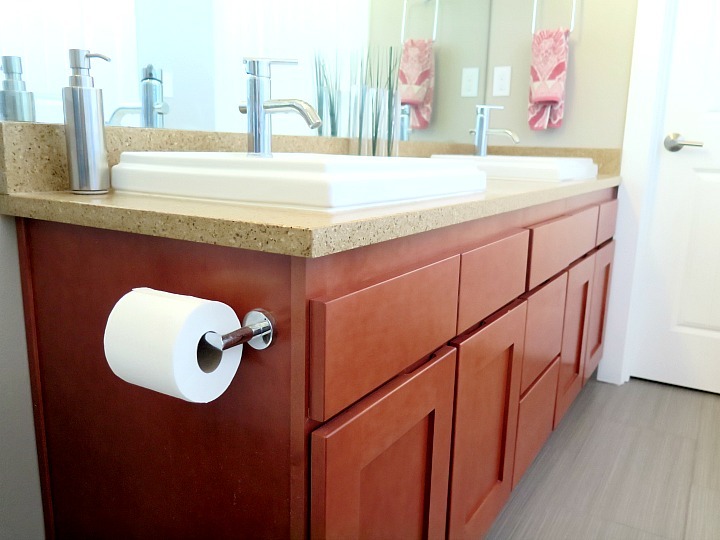 I have a small bathroom too, and this is such a pretty way to use the under the sink for storage of my toilet paper. I am going to use this idea! Really good ideas here!!! Love the idea of separating the items by his, hers, both. Makes the usage of space more efficient. Also loved the coloured bottom. Truly bright ideas for organizing and reviving bathroom cabinets. It’s always a mess when you look in there but when it’S all cleaned it makes it that much more attractive to look at. I was looking for something to organize when I don’t have the kids tomorrow. This is perfect. How does our bathroom accumulate so much stuff?